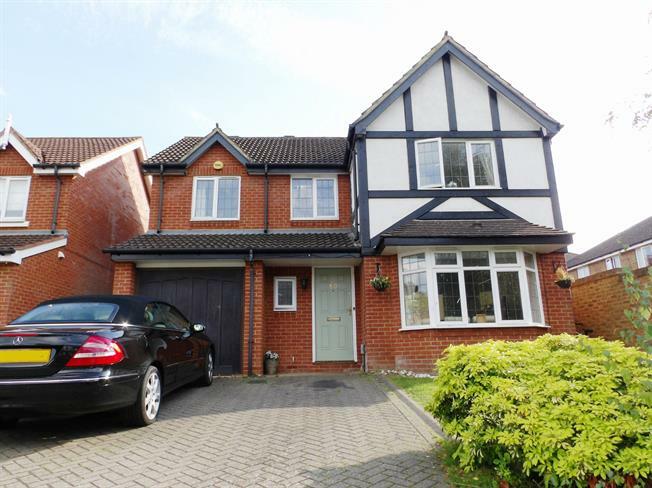 6 Bedroom Detached House For Sale in Woking for Guide Price £650,000. This substantial detached home offers ample family accommodation over three storeys. Boasting a single integral garage and a driveway large enough to park several cars, enter into a spacious hall entrance with a convenient downstairs cloakroom. The lounge features a bay window and flows through into a bright dining room with access to the rear terrace via French doors, and which also leads into a large modern kitchen with a breakfast area and a separate utility. On the first floor you will discover four double bedrooms off the galleried landing, an en suite to the master and a large family bathroom. The second floor features a further two double bedrooms flooded with natural light through multiple skylights. Outside, the garden is private and enclosed, and features a split level terrace perfect for al fresco entertaining.